However, all of TMC's blogs (even brand new ones) have a PR5 or PR6, which is better than mine even though I have more links & traffic than any of them. Not to toot my own horn, I've been quoted/linked to by Engadget, Gizmodo, San Francisco Chronicle, GigaOM, Slashdot, The Inquirer, O'Reilly,TechDirt, and many more. I broke the major Skype outage news story back in 2007. 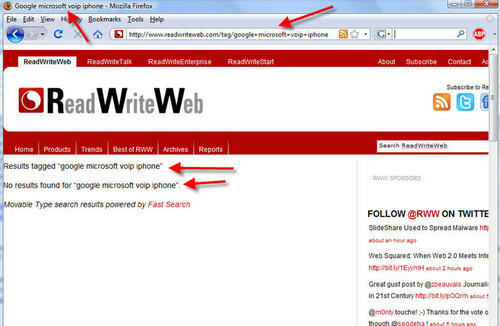 I'm also a Microsoft MVP award winner and have written many reviews on gadgets and VoIP products. Let me stop slapping myself on the back and present some facts why I believe Google is either intentionally penalizing my blog or their Pagerank algorithm is faulty. Either way, Google needs to make it easier for legitimate websites to discover why their websites are being penalized or explain why a PR6 site becomes PR3 overnight. You'll notice that every single one of these websites has a higher PageRank than I do. Yet, if you look at the Google Backlinks, I'm tied with Skype Journal for the most Google backlinks, while all the others are lower - often much lower. I should point out that this 1,740 number is not accurate. Google limits the number of backlinks they display, which probably explains why Skype Journal and I have the exact same number. I actually have many more backlinks than 1,740. This is confirmed when you look at Yahoo Backlinks where I sport a whopping 2,035,831 backlinks. I beat all the other websites I listed combined (343,508) by nearlt a 6X factor! So how is it that I only have a PageRank/PR of 3? That's simply not possible. So the next question any webmaster might ask "Is there a penalty due to any blackhat SEO going on?". Well, there certainly isn't any blackhat SEO going on within my blog's HTML source code. Still, I poured over my Movable Type CMS templates to see if anything might trip the Google penalty filters. Nothing out of the ordinary. I ask another SEO expert his thoughts and he thought my blog was clean. He suggested I try the reinclusion request again. Googlebot encountered problems while crawling your site http://blog.tmcnet.com/. Googlebot encountered extremely large numbers of links on your site. This may indicate a problem with your site's URL structure. Googlebot may unnecessarily be crawling a large number of distinct URLs that point to identical or similar content, or crawling parts of your site that are not intended to be crawled by Googlebot. As a result Googlebot may consume much more bandwidth than necessary, or may be unable to completely index all of the content on your site. Here's a list of sample URLs with potential problems. However, this list may not include all problematic URLs on your site. Google lists some old "tag" pages that used to work with a prior Movable Type plugin TMC used. Google points not just to my TMC blog, but several other TMC blogs which all still have higher PageRank than my blog. So if not returning 404s in the header is the reason for my low PR, why aren't all TMC blogs affected? Until recently, I couldn't fix this issue, since we use Fastsearch, a 3rd party Movable Type plugin. I have no control over the search results it returns and it automatically handles missing/404 pages. Unfortunately, this plugin doesn't return a 404 error code for an invalid search - it always returns a 200 OK in the header. Nevertheless, many websites also don't return 404s for search queries. I knew that one popular blog ReadWriteWeb also uses Fastsearch so I decided to see if they have the same 404 issue for invalid queries. Well, they too don't report 404 errors. So in theory, I can create a massive HTML file with invalid outbound links to ReadWriteWeb, cause Google to index these "200 OK" pages which are all virtually identical and then eventually cause ReadWriteWeb a "Google penalty" for too many indexed pages. Not sure if these pages are 200 or 404 in the header? Well, copy/paste any of these links to this online header checker tool. This outputs a 404 in the header. It wasn't easy and required some serious Movable Type template tricks and conditional checks to get this to work. So now these old (invalid) blog.tmcnet.com tag pages cached by Google now accurately report 404. Since I'm reporting 404 errors, that should be good enough for the search engines to figure out not to index these pages. Alas, some time has past and still my PR hasn't returned. On top of everything, I still can't access my damn Feedburner RSS feed account since the Google acquisition. I've tried everything, including this posting and this posting to the Google Groups, which is the "official" Feedburner support location. To: 'aff-blog-feedback@google.com' Ever since Google acquired Feedburner, I haven't been able to access my account. The logon method uses Google accounts now, which is fine, but my Google account isn't "tied" to my existing feed. When I logon using my Google account (ERASED@gmail.com) I don't have any feeds listed since it's a new account. 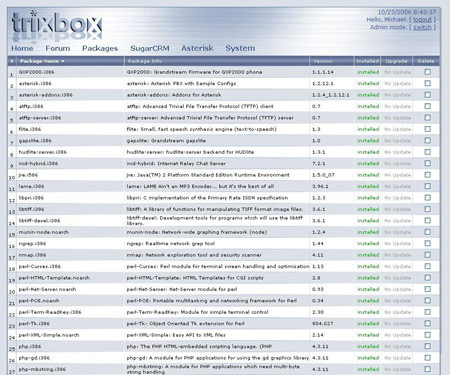 I tried adding a new feed pointing to my blog's XML file (http://blog.tmcnet.com/blog/tom-keating/index.xml) and using the same Feedburner name (voipgadgets) but Feedburner tells me the feed already exists. I know it exists, but this feed is in the digital ether and I don't know how I can "claim" this feed as mine. My feed is fortunately still updating (http://feeds.feedburner.com/voipgadgets/) but I have no way of accessing it to look at stats, add Adsense for Feeds, etc. I don't want to change my feed name, since obviously many people are pointing to the current location. I couldn't find any contact info on the Feedburner website to resolve. I tried the online help to no avail. I never heard back from my email nor my Google Groups posting. All this trouble with Google PageRank and Google Feedburner is enough to make me want to switch to Bing.com as my preferred search engine. I also recently considered a Google Android device, but their customer service really leaves something to be desired. Apparently, I am fated to live at PageRank 3 until the Google Gods decide I have had my just punishment. What the punishment is for is beyond me. 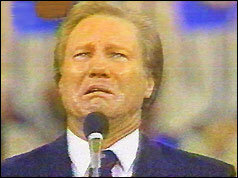 I'd be happy to do a confessional ala Jimmy Swaggart style and confess my breaking of Google's 10 SEO Commandments if I knew which SEO Commandment I broke. Regardless of what sin I commited, let me pray for forgiveness... "Oh Great Google Gods, hear me now. Have mercy on this poor soul. Give us our daily PageRank... you can keep the daily bread since you've got enough bread to buy some countries, but I digress. Oh Great and Glorious Google, have pity on thee. For thou art a merciful search engine giant, are thee not? I will uninstall Yahoo! Toolbar, I will erase Bing from my Favorites, and I will use Google Talk instead of MSN Messenger. Deal?" \nHowever, all of TMC's blogs (even brand new ones) have a PR5 or PR6, which is better than mine even though I have more links & traffic than any of them. Not to toot my own horn, I've been quoted/linked to by Engadget, Gizmodo, San Francisco Chronicle, GigaOM, Slashdot, The Inquirer, O'Reilly,TechDirt, and many more. I broke the major Skype outage news story back in 2007. I'm also a Microsoft MVP award winner and have written many reviews on gadgets and VoIP products. Let me stop slapping myself on the back and present some facts why I believe Google is either intentionally penalizing my blog or their Pagerank algorithm is faulty. Either way, Google needs to make it easier for legitimate websites to discover why their websites are being penalized or explain why a PR6 site becomes PR3 overnight. \nYou'll notice that every single one of these websites has a higher PageRank than I do. Yet, if you look at the Google Backlinks, I'm tied with Skype Journal for the most Google backlinks, while all the others are lower - often much lower. I should point out that this 1,740 number is not accurate. Google limits the number of backlinks they display, which probably explains why Skype Journal and I have the exact same number. I actually have many more backlinks than 1,740. This is confirmed when you look at Yahoo Backlinks where I sport a whopping 2,035,831 backlinks. I beat all the other websites I listed combined (343,508) by nearlt a 6X factor! \nSo how is it that I only have a PageRank/PR of 3? That's simply not possible. So the next question any webmaster might ask \"Is there a penalty due to any blackhat SEO going on?\". Well, there certainly isn't any blackhat SEO going on within my blog's HTML source code. Still, I poured over my Movable Type CMS templates to see if anything might trip the Google penalty filters. Nothing out of the ordinary. I ask another SEO expert his thoughts and he thought my blog was clean. He suggested I try the reinclusion request again.